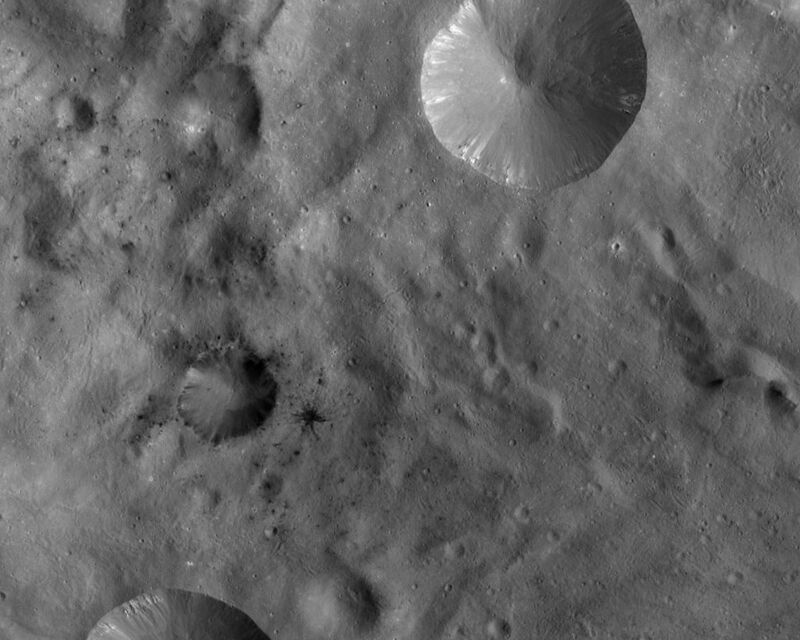 In this Dawn FC (framing camera) image, a number of small dark areas, mostly clustered in the center and left of the image, are visible in Vesta's cratered landscape. A lot of these dark patches are small impact craters, which may have excavated dark material from a shallow subsurface layer of Vesta. One of these small craters, in the left middle of the image, features dark rays. This is unusual as rays from impact craters are generally of higher albedo (eg. brighter) than the surrounding surface. This landscape is dominated by two large bowl-shaped fresh scarp rimmed craters, which are approximately 10-20 km in diameter. 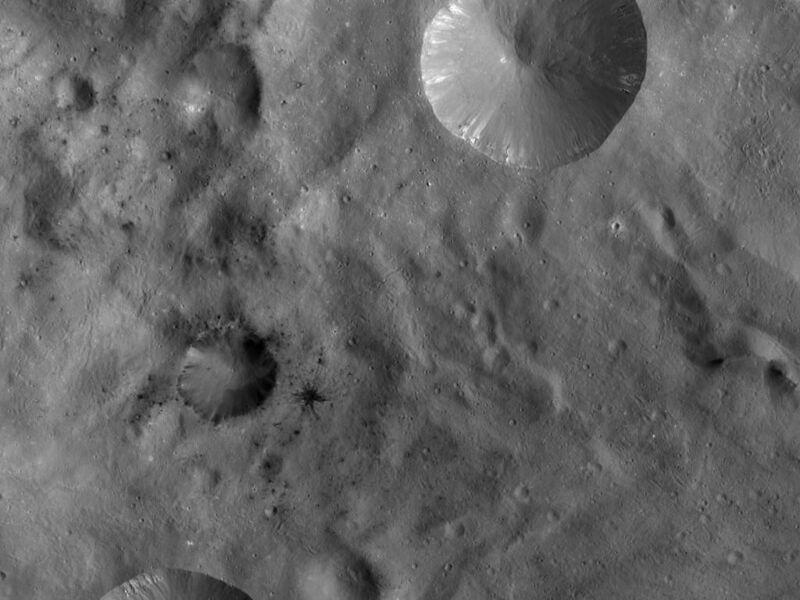 Bright material is seen slumping into these craters, generally from their rims. 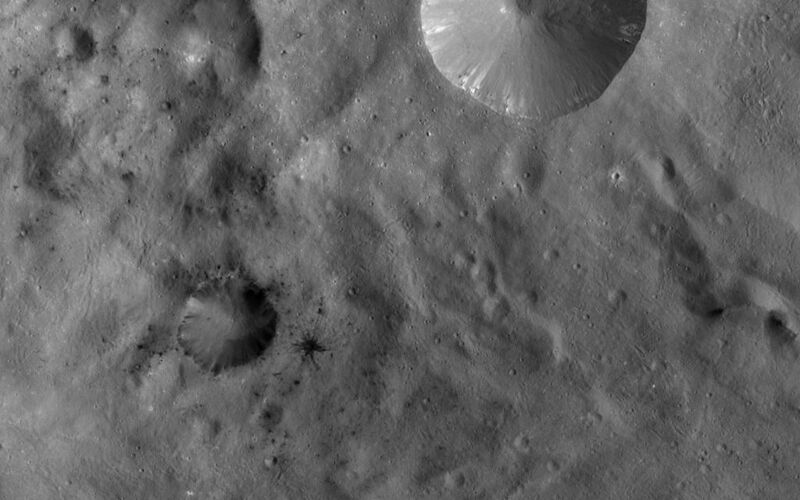 NASA's Dawn spacecraft obtained this image with its framing camera on October 2nd 2011. This image was taken through the camera's clear filter. 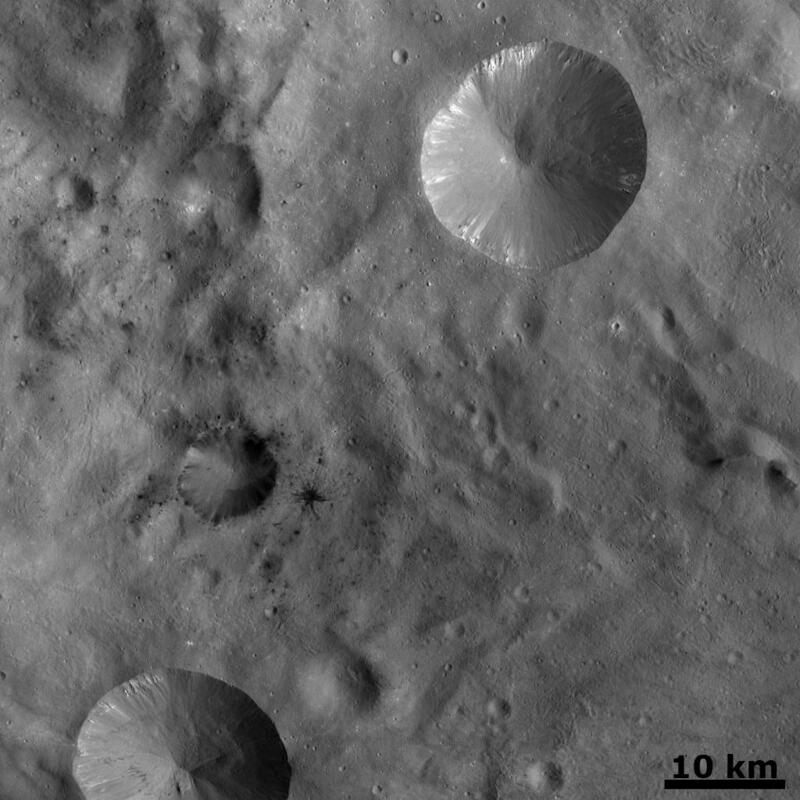 The distance to the surface of Vesta is 702km and the image resolution is about 66 meters per pixel.